Sudhakshina Shivkumar, originally from India, was born and is currently living in Dubai. 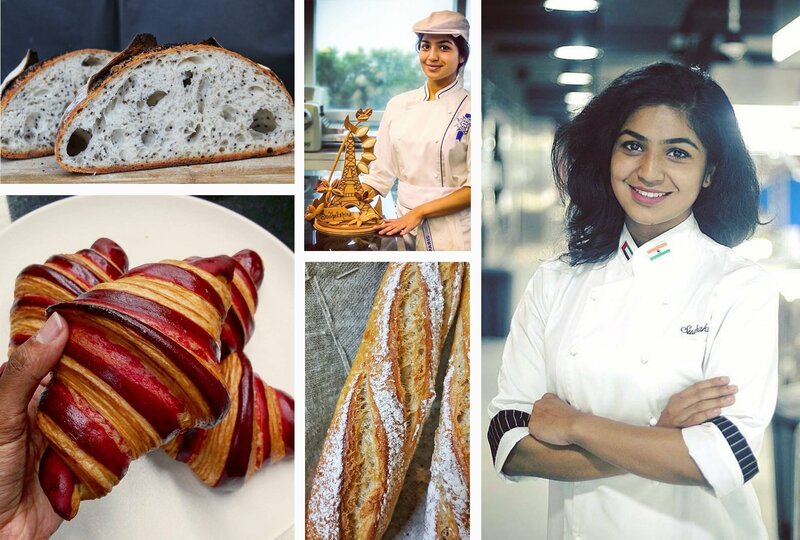 She has always been passionate about gastronomy and studied pastry before coming to Le Cordon Bleu Paris to devote herself to her love for bread. She tells us about her journey. Can you introduce yourself? What have you done before studying at Le Cordon Bleu Paris? My name is Sudhakshina and I am from India. Although I always had a thing for gastronomy, I decided to study Business, and take over my father’s business once I graduated. However, my heart pulled me towards culinary arts, and so I studied pastry in Dubai, where I also worked as a commis chef in a restaurant. What made you want to study boulangerie at Le Cordon Bleu Paris? I became chef pâtissier but felt like I wanted to widen my skills, particularly in boulangerie. Le Cordon Bleu Paris sounded like the ideal place to learn this discipline. There is something about bread that enthrals me. Is it the proofing or the crusty exterior and chewy interior? I'll never be able to decide! Being a chef boulanger is possibly the best thing that ever happened to me. The process of bread making right from mixing to shaping to proofing to finally baking and hearing that crackling sound and of course the smell… all of that fascinates me! I could eat bread every day! We were only 5 students in my batch, which made the experience even more personal, almost like a one to one class. This allowed us to have a close-knit relation with our Chefs. We learnt more in depth about bread, and of course, ate lots (and lots) of bread! What advice would you give to Le Cordon Bleu Paris future students? Being a chef boulanger requires a lot of patience which you will learn over time. 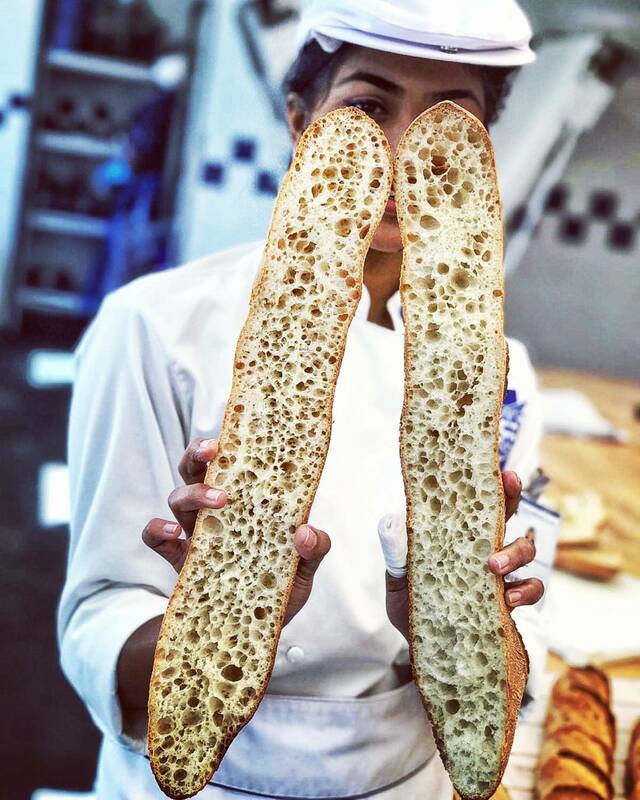 Bread needs to be given love and care for it to become something just impeccable. Also, sometimes, not everyone ends up doing what they dreamt of for many reasons, but that doesn't mean you need to be disheartened. Somewhere, something else might click which you'll end up loving more! I am currently working as a chef boulanger and chef pâtissier at a Cafe named The Neighbors in Dubai, UAE. I produce varieties of breads like plain sourdough, charcoal sourdough, turmeric sourdough, baguettes, bagels and much more. In pastry, I make many viennoiseries like croissants, pains au chocolat, pains aux raisins as well as mini cakes, cheesecakes and tiramisu Breton, a recipe I took back home from my time in Paris. I hope someday, wherever like life takes me, I will open my own small café, selling homemade bread, delicious pastries and serving a heartfelt cup of coffee.